Little Artists explored texture this week. We have learned about Claes Oldenburg and his funny sculptures. From fuzzy Popsicle to the ice cream cone on top of a building (he is always a super easy sell to the kids, no matter how old they are). 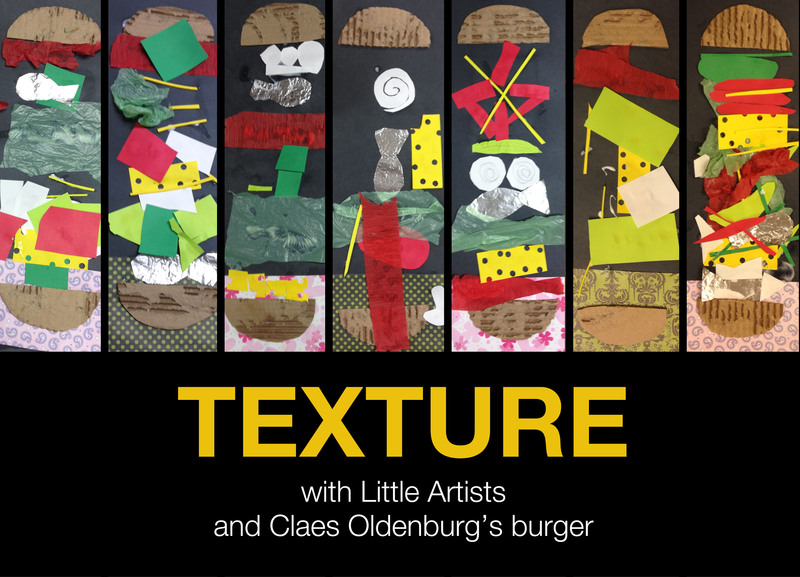 Then we explored different textures and created a mixed media collage of a burger. Kids loved to cut and glue all the different materials onto their super-tall burger! I pre-cut the pieces to make it easier for the kids. We had papers with punched holes for cheese, green plastic bags for lettuce, red streamer for ketchup, foil for fish… a lot of stuff for everybody! After that we started working on one more project: cake candle holder. 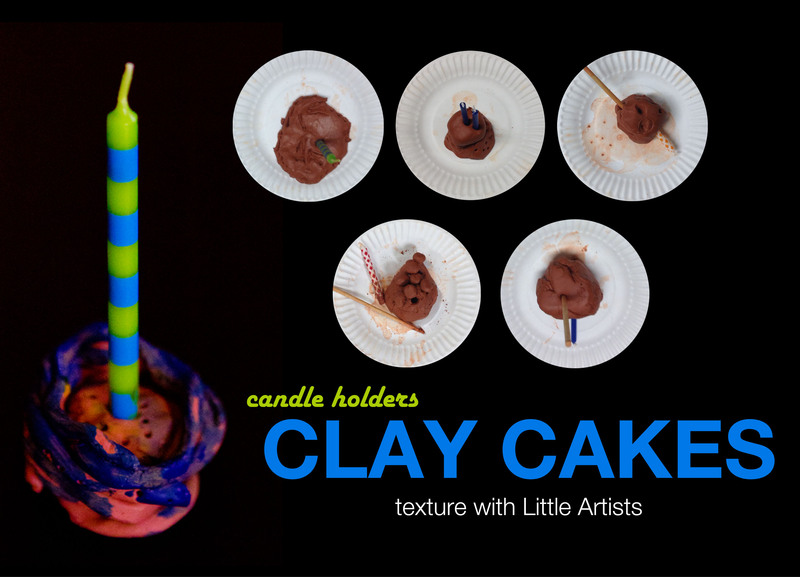 I love engaging kids with clay. It is very different that play dough and I believe it is important for them to be able to explore that difference. They pinched it, rolled it, squeezed it and when it resembled a shape they wanted, they added small details with a stick and stuck a candle in the middle. When the creations dry in a couple of days, they will paint it. If you would like to learn more about Oldenburg, clay cakes, paper food and much more food-related fun – check out October’s issue of arTree. This entry was posted in Art Projects and tagged art, ArTree, burger, cake, candle, clay, collage, craft, hamburger, little artists, magaizne, oldenburg, preschool, project, texture. Bookmark the permalink.